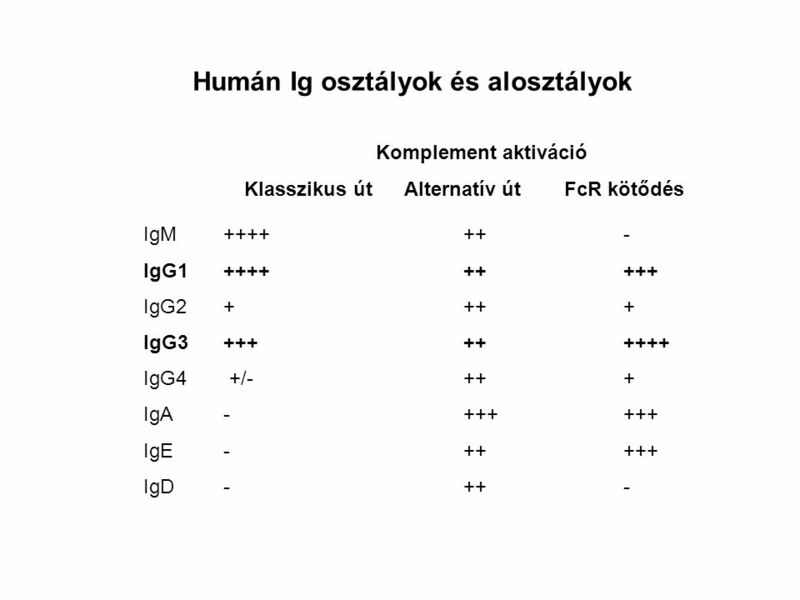 3 Effektor funkció vagy anergia? 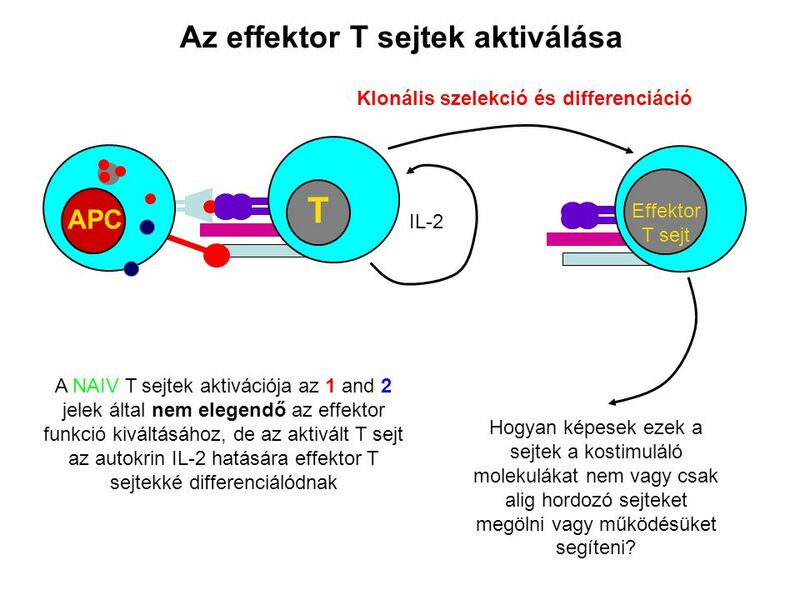 Aktív végrehajtó sejt felismeri és elpusztítja a célsejtet Naiv T-sejtek aktivációja T-sejtek klonális osztódása Activation of naive T cells requires the T cell to recognize both specific antigen and a B7 co-stimulatory molecule on the antigenpresenting cell (left panel). 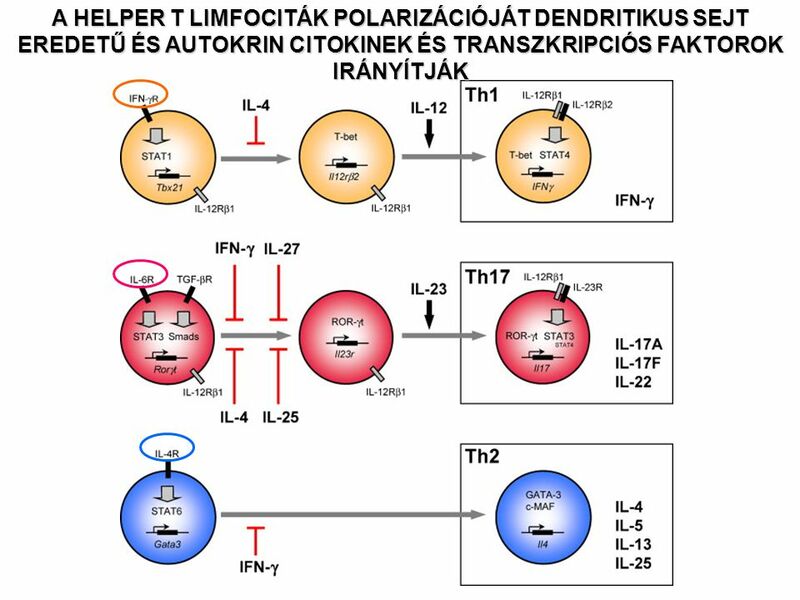 Subsequent proliferation and differentiation produces effector T cells (middle panel) that can respond to cells having specific antigen on their surface but no B7. 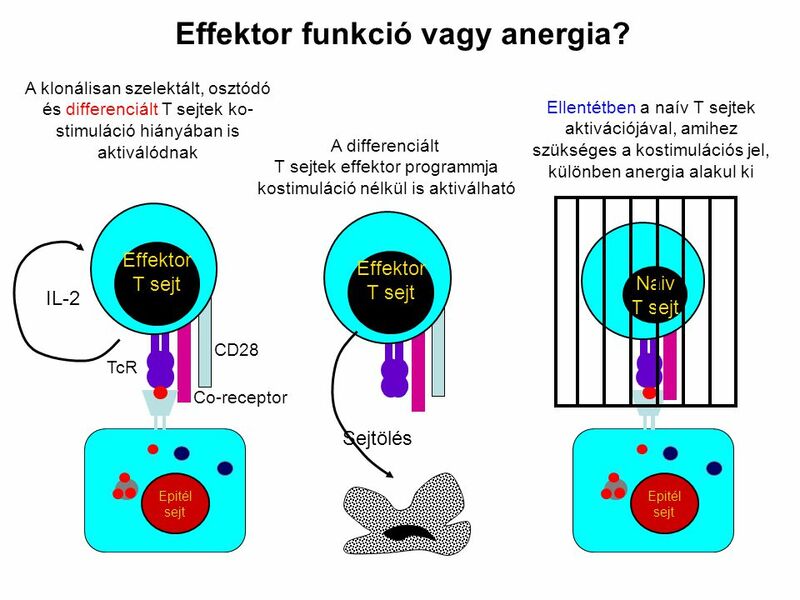 This is illustrated for a cytotoxic CD8 T cell (right panel). 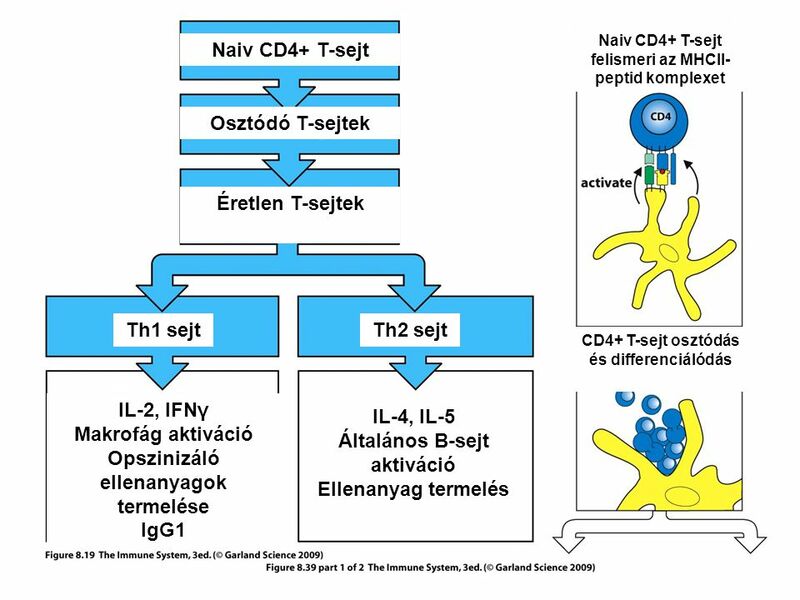 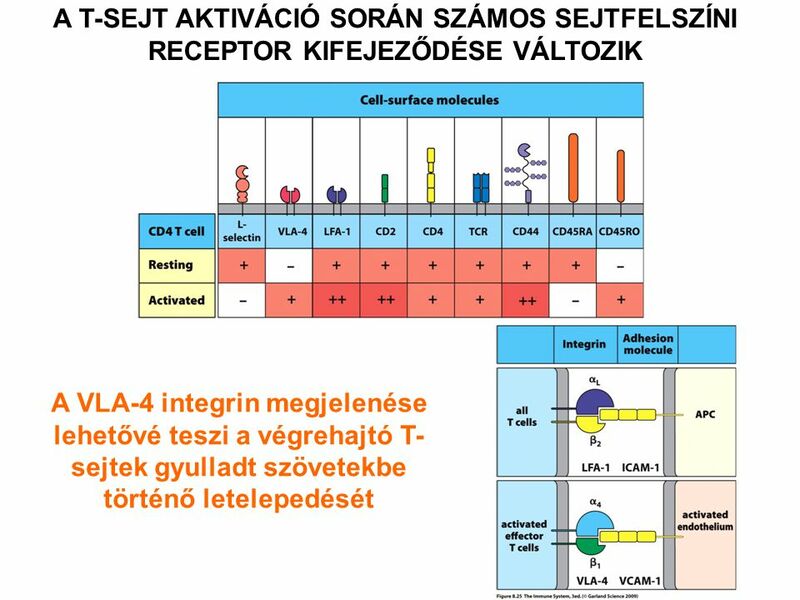 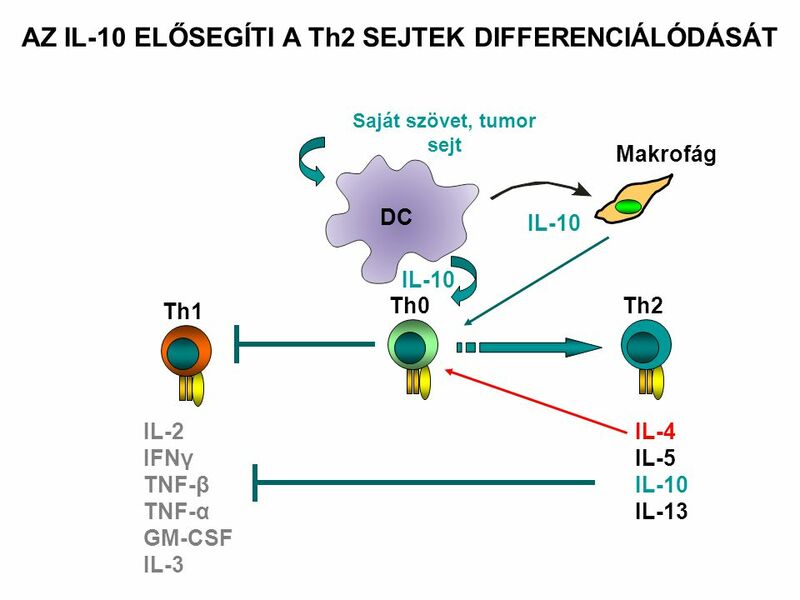 A VLA-4 integrin megjelenése lehetővé teszi a végrehajtó T-sejtek gyulladt szövetekbe történő letelepedését A CD4 T cell is shown here. 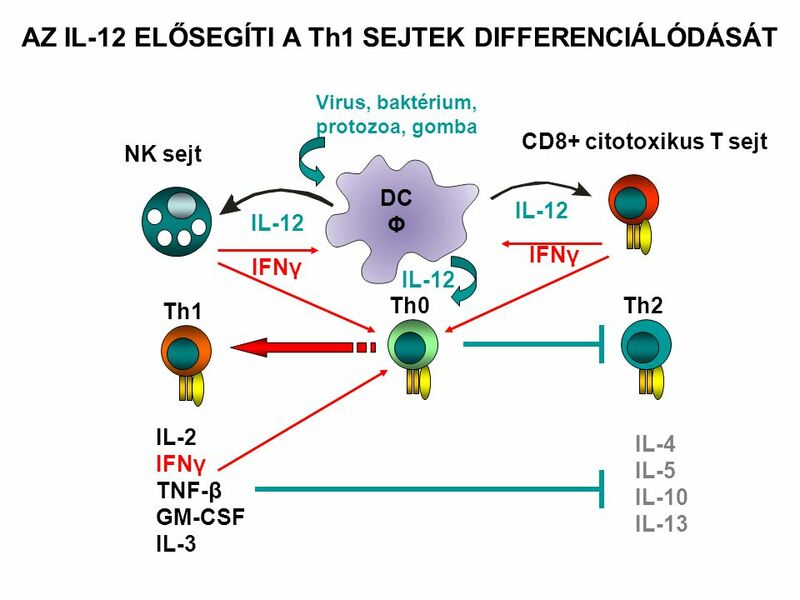 Resting naive T cells express L-selectin, by which they home to lymph nodes, and relatively low levels of other adhesion molecules, such as CD2 and LFA-1. 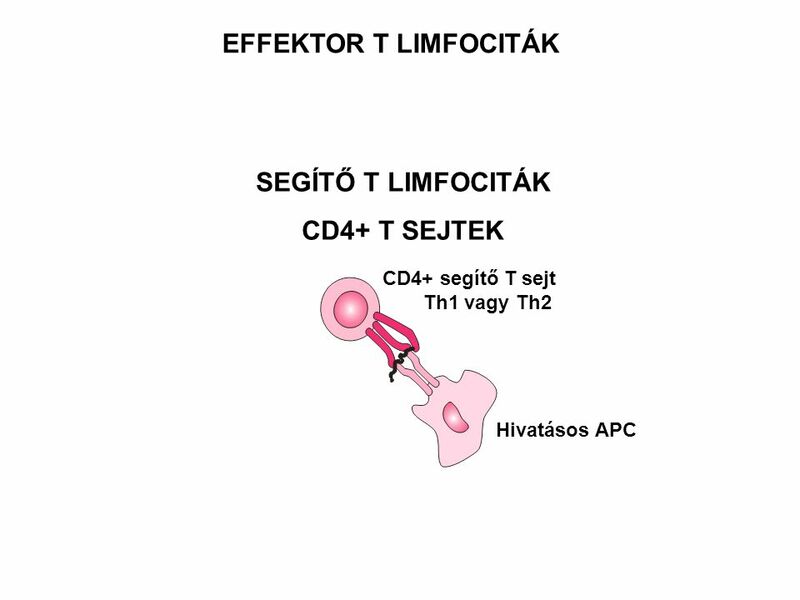 Upon activation, expression of L-selectin ceases and increased amounts of the integrin LFA-1 are made. 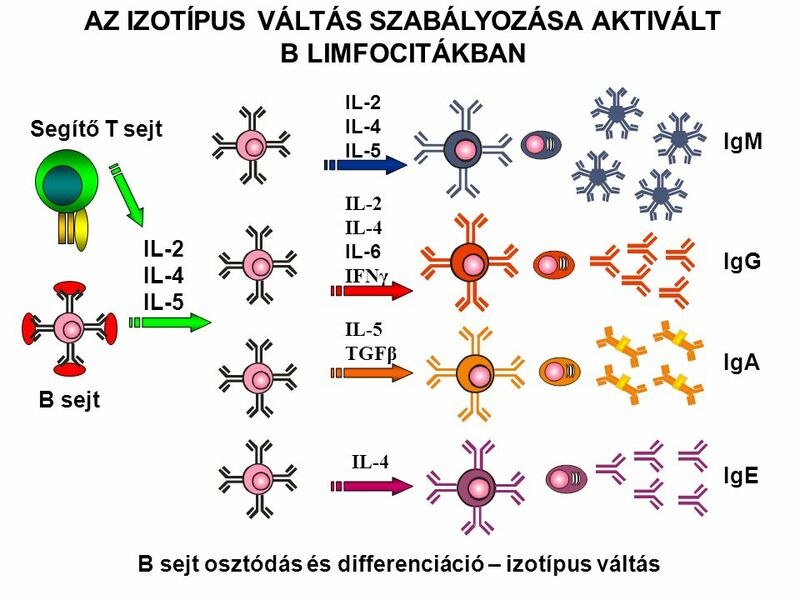 A newly expressed integrin called VLA-4 is a homing receptor for vascular endothelium at sites of inflammation; it guides activated T cells to infected tissues. 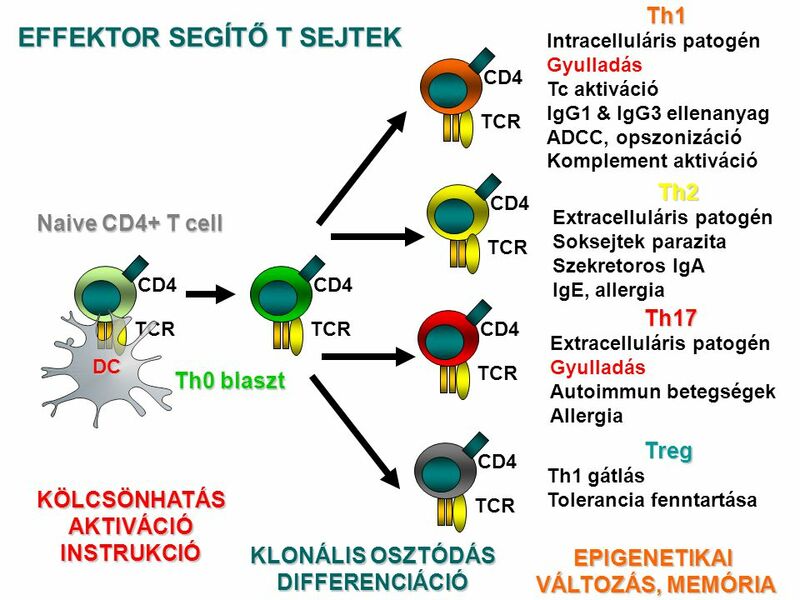 Activated T cells have more CD2 on their surface, which increases adhesion to target cells, and also a higher density of the adhesion molecule CD44. 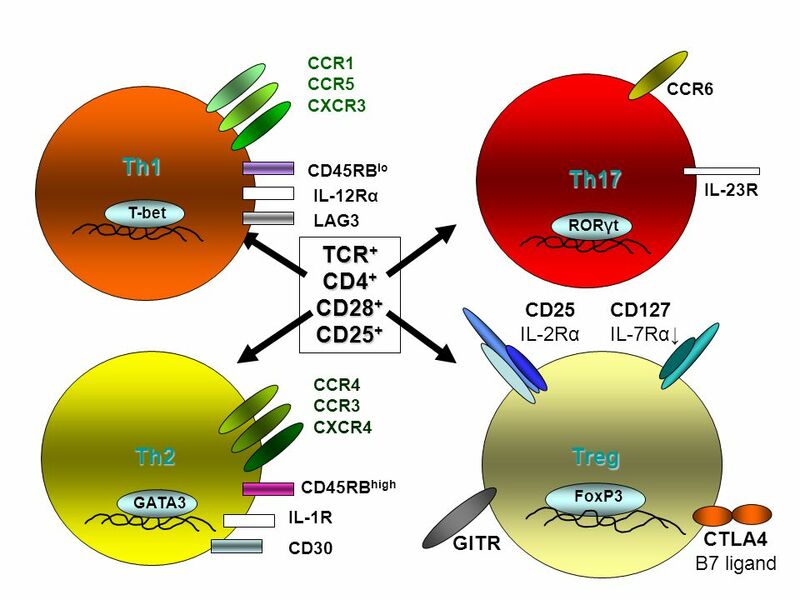 Alternative splicing of RNA made from the CD45 gene causes activated T cells to express the CD45RO isoform, which associates with the T-cell receptor and CD4. 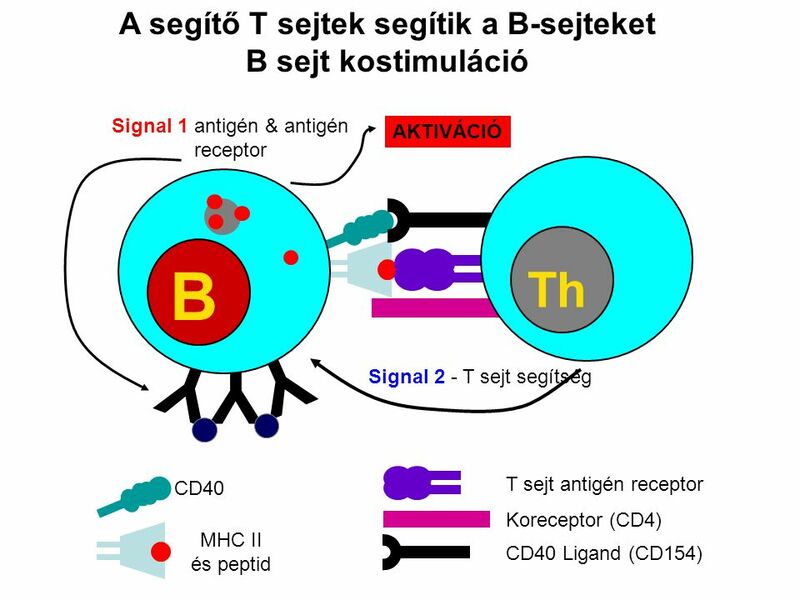 This change makes the T cell more sensitive to stimulation by lower concentrations of peptide:MHC complexes. 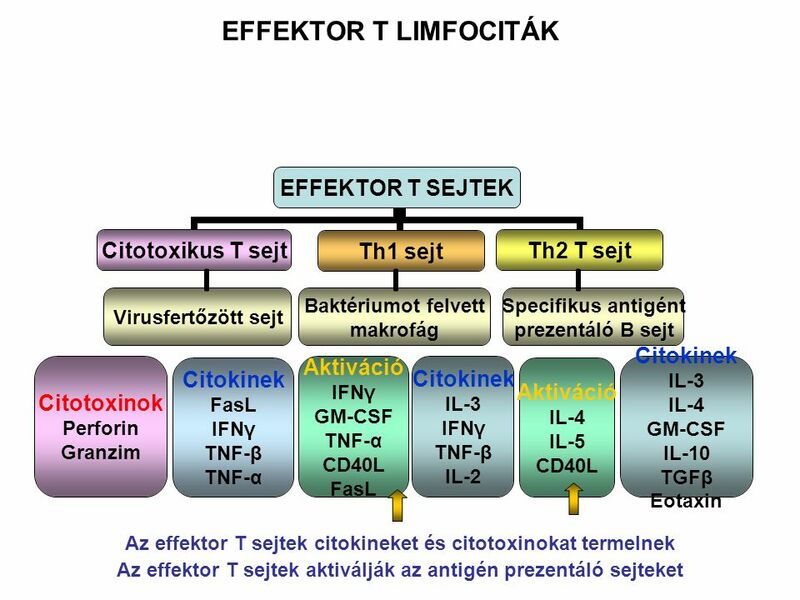 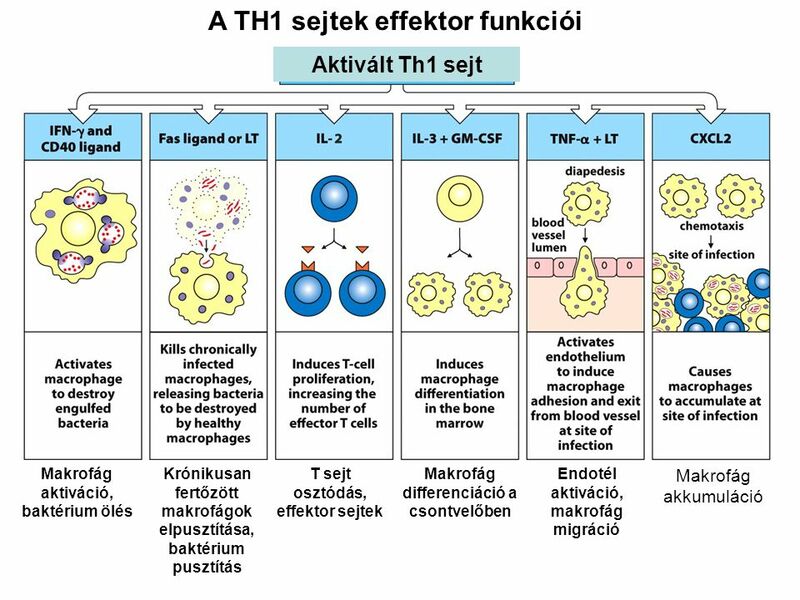 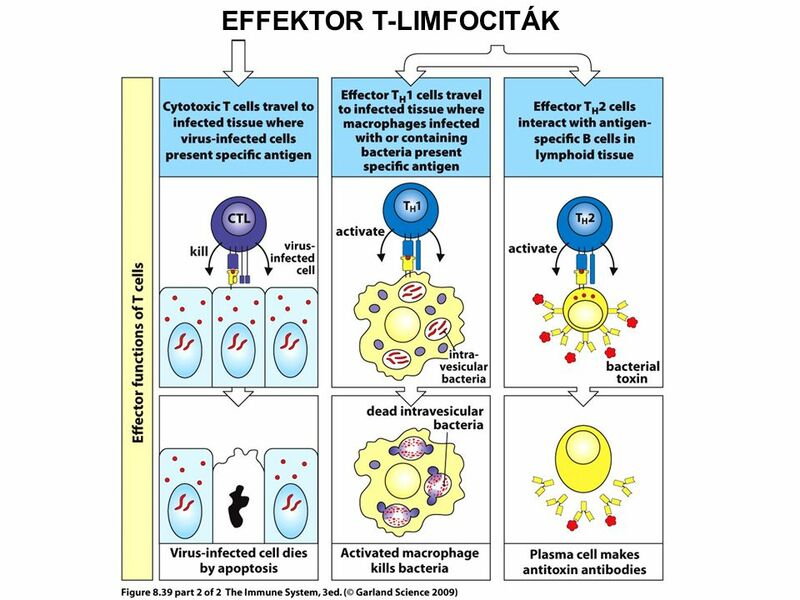 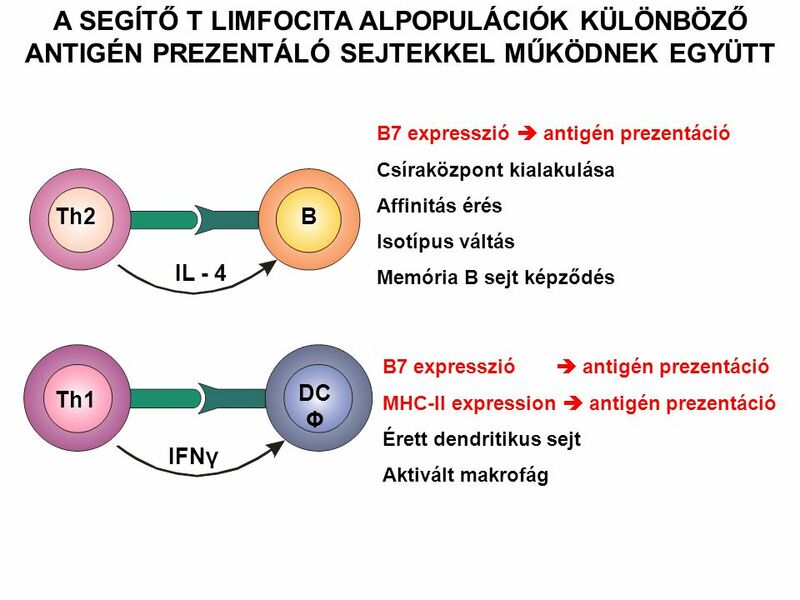 Letölteni ppt "EFFEKTOR T LIMFOCITÁK SEGÍTŐ T LIMFOCITÁK CD4+ T SEJTEK"
A T limfociták Falus András Genetikai, Sejt- és Immunbiológiai Intézet 13/10/16.